Nico Budi Darmawan Tan - Simple Outside, Complicated Inside. One : Do not promise when you're happy. Two : When you are angry, do not respond. Three : Do not decide when you are sad. Some people decide something when they are under circumstances that the brain and the heart cannot synergy. Promise, anger, or decision sometimes made in the wrong time and at the wrong place. We have to control our body, mind and heart in order to control our life. The most bad control example is give up. Before you give up, think of the reason why you held on for so long. Listen to your own voice and your own soul. Too many people listen to the noise of the world instead of themselves. We cannot think clearly and decide something unwisely about our choice because we pushed by the conditions, not by our own reason. The best time to decide is after through the step of summarizing and analyzing. Summarize what we have been through. Analyze the reason why we held on for long. Sometimes you give on someone, not because you don't care but because they don't. Never waste your feelings on someone who doesn't value them. When it come to relationship, what we important is value. Value is created based on the realization of feelings. When one / both of the couple give less value, wrong value, meaningless value, it is a sign when they have to consider their relationship. There's a difference between giving up and moving on. I know that it is different when we prefer to moving on rather than giving up. What is the differences? Simple, give up is stop doing something that you do regularly, move on mean to stop discussing or doing something and begin discussing or doing something different. . Sometimes good people make bad choices. It doesn't mean they are bad people, it means they are human. And the most important thing don't blame ourselves. 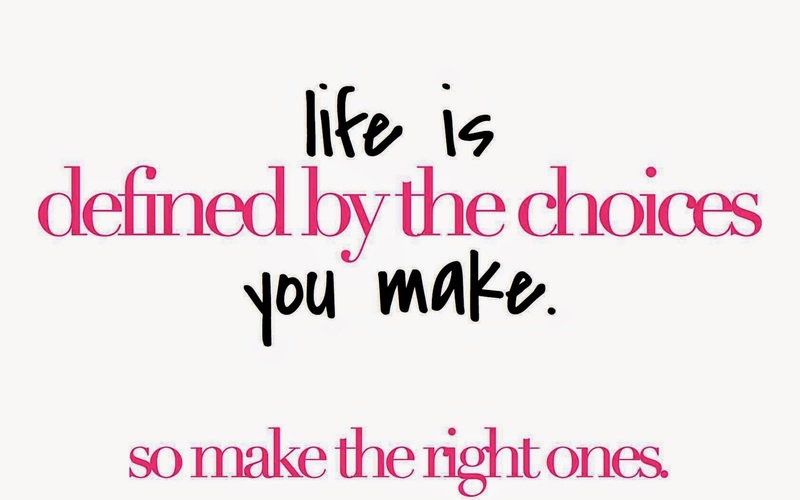 Learn the choices and remember that there are cost and responsibility for every decision we made. The most important thing, just be your self and don't forget to ask for God's guidance for every decision you will make. Have a nice day. God bless. ©2013 Nico Budi Darmawan. Powered by Blogger.